Abe Assad of Glenbard North HS (Carol Stream, IL) won the 182 lbs. title at the Chris Hruska Wrestling Classic in Hoffman Estates, IL. After a first round bye, Assad won by a fall in the quarterfinals and semifinals. In the finals, Assad defeated #3 ranked (3A) John Halvorsen of Maine South by a 14-6 major decision. Assad was named as the Outstanding Wrestler for the tournament. Glenbard North won the team title with 268 points to second place Sandburg at 140.5. The tournament is named in memory of the late Chris Hruska. 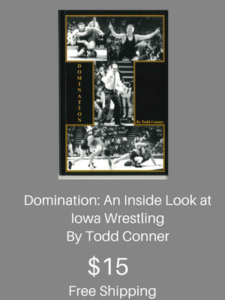 Chris’ brother Mike Hruska wrestled at the University of Iowa in the 1980’s for Dan Gable. Assad is ranked #2 in the country at 182 and #1 in 3A Illinois. 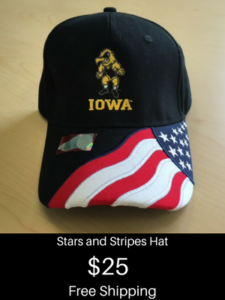 Assad is joined by Zach Glazier in the Iowa Wrestling Recruiting Class of 2019. Assad is in action next with a home dual meet with Lyons Township on Thursday, November 29. Cullen Schriever – Mason City, Iowa 113 lbs.